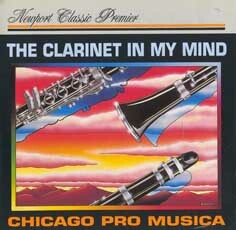 Concerto for Piccolo Clarinet was composed for and dedicated to clarinetist John Bruce Yeh. The music makes dramatic shifts between the E-flat clarinet’s high virtuous technical flights and its mystical, expressive qualities. The sound resources for entire work are entirely derived from the clarinet’s opening descending line that quickly developes into a succession of firey cadenzas. The soloist then leads the ensemble in a highly spirited dance of counterpoint and rhythm. John Bruce Yeh, Piccolo Clarinet Chicago Pro Musica. Please click on the FB icon for more information on the most current events. As a 2017 Concerto Competition winner, Fàtima performed the world premiere on July 15, 2017 with the Music Academy of the West Festival orchestra conducted by Matthew Aucoin in Santa Barbara, CA. January 27th, 27 Birds and Canis Lupus: Lamentation for piano and saxophones and digital acoustics, with Laurent Estoppey, saxophonist, Cameron Art Museum, Wilmington, NC.